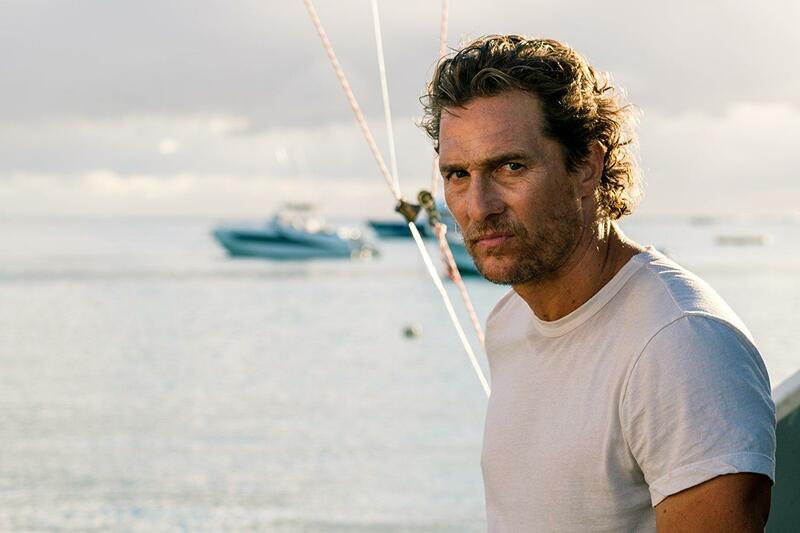 The hero, Baker Dill (Matthew McConaughey), is on a mission to catch a fish – a very large tuna he’s dubbed Justice. Every day, he tries to catch the fish, doesn’t, and recalibrates his strategy. Every day, he visits his lover, Constance (Diane Lane), grabs a drink at the local watering hole filled with salty characters and fires his first mate (Djimon Hounsou). Every day, he gets gossip and news from the bartender and tackle shop owner. Every day, a suited and spectacled salesman (Jeremy Strong) pursues him across the island. So it goes, over and over, Baker dutifully pursuing his quest, until a femme fatale (Anne Hathaway) walks out of his past and into the bar, asking him to kill her husband. Of all the rum joints in all the towns in all the world. If the characters seem not quite human, it’s because they aren’t. There’s a layer of incongruity and artifice that lays over “Serenity,” but that’s kind of the point. Human complexity is flattened, heightened, confused and rooted in stereotype. Bad guys are exceptionally bad; women are powerless. Some of the more questionable character traits, choices and details (it’s a real stretch to imagine Hathaway and McConaughey are the same age) are explained away when the film’s ultimate, inherently unreliable perspective is revealed. Knight’s a bit too eager to reveal the construct though – heavy-handed hints eliminate the element of surprise. Published: Jan. 24, 2019, 5:24 p.m.